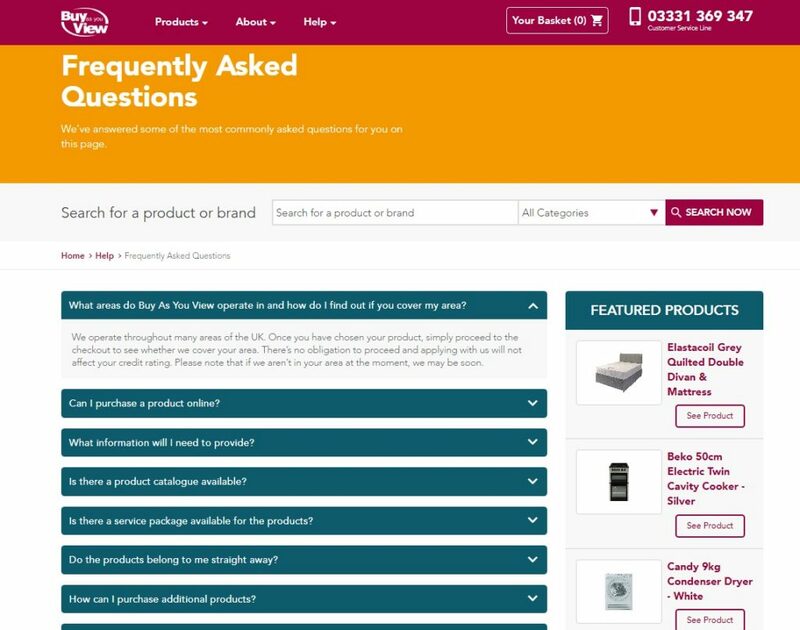 For more than 40 years Buy As You View has been helping customers spread the cost of household essentials, but what do you do if there’s a problem? Here’s a guide to explain how you can complain about Buy As You View, should you ever need to. 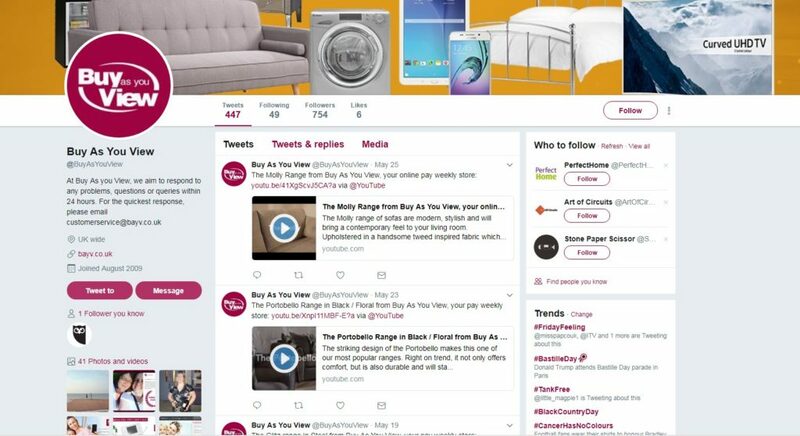 If you’re looking for big brand electrical, top quality furniture and the latest technology and appliances, the online pay weekly store are on hand to help bring all of the life’s essentials available to you. Spread the cost of essential purchases with big branded household items that are available with to be paid for weekly. If you feel unsatisfied with the Buy As You View services, or if you have a complaint to make about a product, there are a selection of methods you can do this. You have the option to ring the complaints line, email them through their contact form on their site, or write to them in a letter. 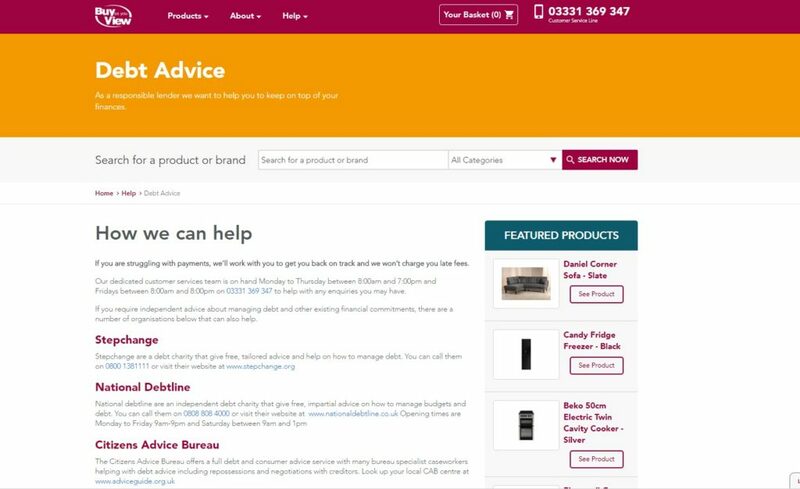 Buy As You View have a dedicated page on their website, which allows you to make a complaint or give feedback on the company or a specific product you have bought through them. There are many reasons you might need to call the Buy As You View complaints number, and it is the quickest way to get a response on your problem. You might have hired or bought a product that is broken, damaged or faulty, there may also be a problem with your smart meter that is fitted on your TV. You could also get in contact with them if you have recently written to them or emailed them and are waiting for a response. Again this is the most direct way of getting in touch and finding a solution for your problem. The dedicated customer service teams are available Monday through Thursday between 8 am and 7 pm, and then on a Friday between 8 am and 8 pm. The complaints number to call is 08442482602. If you need to get in touch with Buy As You View out of the hours of their customer service phone line operation, or just prefer not to speak to someone, you can email them through the email customer.services@bayv.co.uk or you can use the contact form which is on their website. It’s important that you ensure you fill out all of the required information so they’re able to help you efficiently as possible. 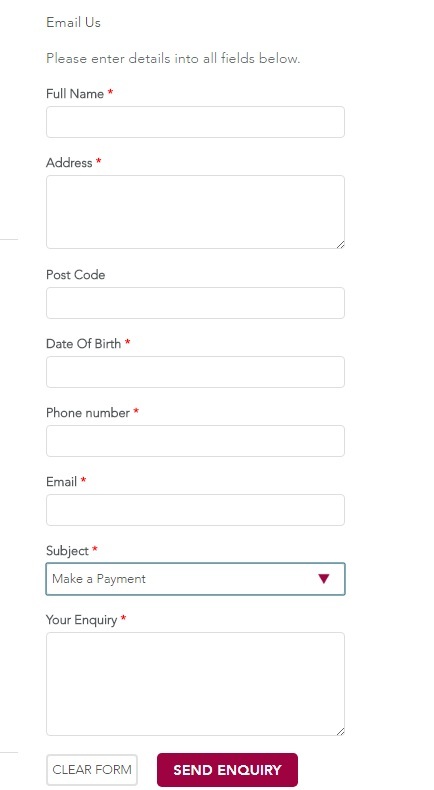 The boxes with a red asterisk are the most important and the form will not be submitted until they are complete. If you email them out of office hours, they say they will pick it up as soon as possible, which will be their next working day. If you don’t hear back within a couple of days, we’d recommend getting in touch through the phone number above. When writing to Buy As You View, you need to ensure you give the following information for them to be able to resolve your complaint as soon as possible. Social media has proved a quick and effective way to get in contact with the brands we know and love. Buy As You View has a range of channels that ensure it’s easy to get in touch with them. This is a great option because you generally get a quicker response and because it’s done in a public way they have to ensure they act quickly and respond in a more effective manner. No company wants to be seen as ignoring valuable customers. See the Facebook page below, Facebook.com/buyasyouview. Here you can write to them, there’s a box in the middle of the page. After Buy As You Have received your complaint, they will send you a letter of acknowledgement. This will explain their complaints process, as well as information on when you can expect to hear further information from them. Plus, you’ll also receive a complaints number. They will then take out an investigation, which looks into your complaint after that is completed they’ll issue you a final response. This will outline their findings from the investigation, how they reached the decision they came to and what they will now do as a result. It’s important to note that if your complaint is particularly complex, they may need more time to investigate. However, they do endeavour to keep you up-to-date throughout the process. If you do have a query whilst your investigation is taking place, use the complaint number they have given you, when you contact them through the complaints number above. In the event that it has taken longer than 8 weeks for Buy As You View to resolve your complaint, or if you aren’t satisfied with the decision they have come to, you are entitled to take your case to the Financial Ombudsman Service. This is a free service to use and it helps to resolve disputes between customers and financial services institutions. It’s important to note that you will need to contact the Financial Ombudsman Service within 6 months of the final response letter you receive from Buy As You View. If you have a complaint or question to make and need it doing so urgently, it might be worth checking out the Buy As You View Frequently Asked Questions page, as this might have the answer you need. On this page, you’ll find a list of the frequently asked questions put to the company, and they’re already answered so you may find the solution you need to your problem. These are general questions to online orders, paying online, delivery charges etc. But there are also more in depth questions like those related to faulty items, insurance cover and advice for those who might be struggling to make payments. The most common complaint at Buy As You View is most likely the breakdown or a fault with a product purchased. All of the products, excluding Valueline, are covered for 12 months under the standard manufacturer’s guarantee. If you have a product that is faulty, you do have different legal rights when it comes to refunds and exchanges. This includes the right to a remedy from Buy As You View for defective goods. If you buy a product that is faulty when sold, you have the right to claim for a repair, replacement or refund for up to 6 years (5 years in Scotland) from the day of purchase. Big branded household items are available to buy through Buy As You View with payments that are made weekly, as they aim to bring all of your essentials to a place that suits your budget. The company is designed to help you spread out any costs you may come to for your essential purchases and take away some of the stress of when your TV, washing machine or dryer suddenly breaks and you don’t have the full amount to replace it. To apply for a product there, you can easily apply online, and it shouldn’t take more than 10 minutes to finish. Once you’ve completed this, you simply select the product you want, you can add the product to your basket and also add any optional cover that you might require. Then you can carry on to the application form. The credit available through Buy As You View is subject to status, available and acceptance in your area. They explain that they are a responsible lender, so they will assess every applicant individually. For example, if you’ve ever had financial difficulties in the past, or never had credit before, they will assess you on your own unique circumstances. When you’re completing your online application, having these details available and ready is recommended. Details about any of your outgoings, including things like mortgage, rent, bills, etc. Once you have completed your application, you’ll get a fast decision on whether or not you’re able to use the services of Buy As You View. In certain circumstances, they may need some more information. This might result in a member of the customer services team getting in touch with you either by emailing or phoning you with advice on what is needed to finish your application. There are select benefits to using the Buy As You View system. Along with payments that you can make weekly that make costs feel a little less daunting, there’s also a free delivery, plus no deposit or late fees. Buy As You View offer each customer the chance for free delivery as well as a free installation service. They’re also happy to get rid of your packaging and get it recycled for you. When it comes to delivering your items, they’ll give you a call to arrange a delivery date that’s convenient. There is also a 30-day satisfaction guarantee. Meaning that they will give you a full 30 days from the date you place your order to make sure you are happy with your purchase. So if you are feeling less than satisfied with your product, or you have changed your mind, you can cancel and return to them within this period. Through Buy As You View there is also an optional service package, which offers unlimited repairs for peace of mind. This will protect you against breakdown, and they will offer to fix your product or replace it. Buy As You View work religiously to ensure they are a responsible lender and want to ensure customers can keep on top of their finances. Through the use of a SmartMeter they help to keep your payments manageable. If you struggle with payments, they will endeavour to help you get back on track, and say they won’t charge you late fees. They have a dedicated debt advice page to help ensure customers don’t get themselves into unwarranted debt. Buy As You View will install their very own Smart Meter when you purchase a product through the website. The smart meter has a slimline look and is designed to discreetly connect to your TV as well as blending in with any other devices that you might also be using. The smart meter helps to monitor your payments, and also makes sure that everything you have is functioning correctly, as it is designed specifically to help you resolve any issues you might come across. If you didn’t buy a TV with Buy As You View, or pay through a direct debit, part of the agreement you will make with the company means you are still required to have a Smart Meter, which they will connect to the TV you have so they can monitor your payments and be sure that everything is working as it should. If the account you have with the company goes into arrears, Buy As You View can temporarily restrict the TV that you have connected to your Smart Meter. If you happen to miss making a payment, for whatever reason, you should be able to continue using your TV. Yet, there is a seven day grace period in which the company will attempt to get in contact with you. If they can’t get in touch with you and they haven’t had a payment from you after the grace period, they will then issue you with a notice advising you of their intention to restrict your ability to view your TV. Buy As You View was first established in 1972 in South Wales, since then its popularity has grown and they’re available throughout the UK, using their online system, and operations in several places. 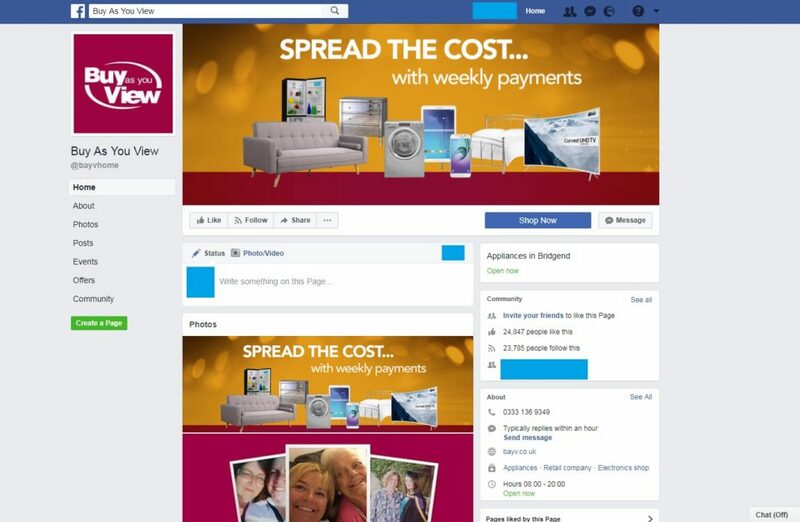 The easy application is what makes this company a big drawer, plus the fact you can buy essential household items through a payment scheme, which is ideal if you don’t have the upfront cost of a sofa, washing machine, TV etc. They operate on a smart meter basis which means you can buy the products on a hire basis and have a prepayment meter fitted so that you can pay for the products as you use them.